Our Sr. Stephanie Campbell passed away last weekend. Her service of memories and funeral were very, very nice. She was a unique woman in many ways, not limited to the fact that we were her third Benedictine community: she lived with her first group for 30 years, her second for 10, and with us for 29. In between was a very full and interesting life. 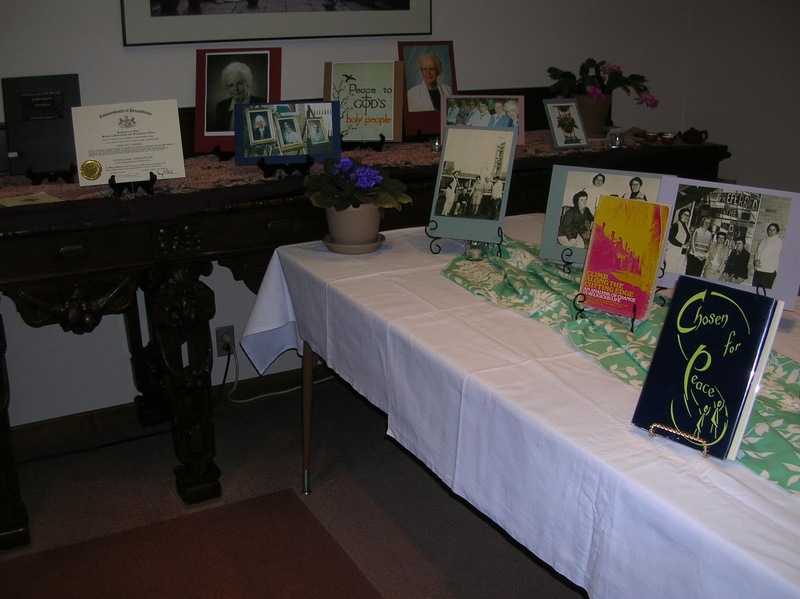 Here are links to her obit and prayer card. 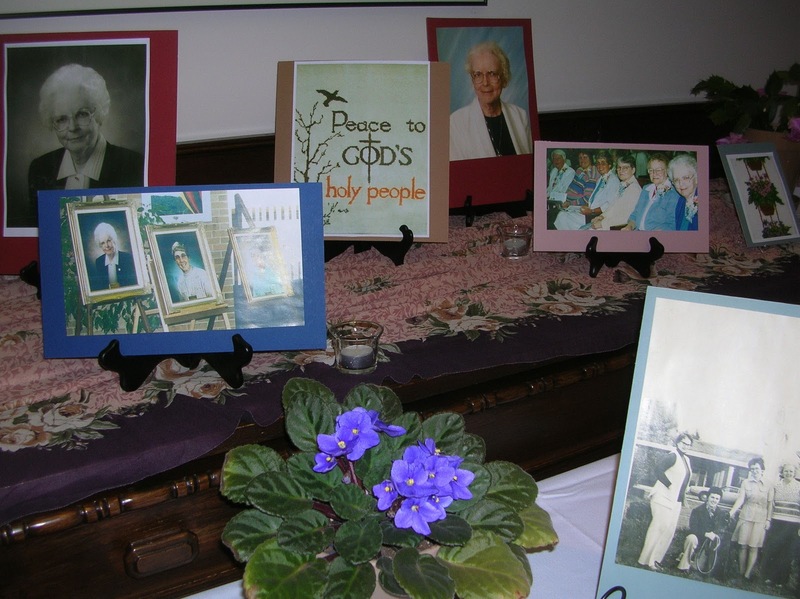 With every sister's death one of our sisters has taken on a beautiful "tradition"---forming a living memorial display using photos, memorabilia, whatever we come upon that gives a visual memory of her and her life. They are truly looked forward to now. 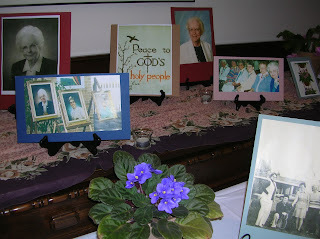 Here are a couple views of the area in the dining room where she set up one for Sr. Stephanie. Our community website has lots of newsy items from the last week or so. A busy time in a busy month. Click here. Here is the link to Sr. Mary David's O Antiphons, sung by a small group of our sisters.